Researchers who are furthering the understanding of human brain development through neuroimaging will gather in Portland later this month for a symposium co-hosted by the UO and Oregon Health & Science University, the latest example of researchers from the two institutions working collaboratively. Sabb, along with psychology professors Nick Allen and Jenn Pfeifer, worked with OHSU researchers on a local organizing committee to bring the Flux Congress 2017 to the Pacific Northwest in its fifth year. It draws top developmental cognitive neuroscientists, who examine how the brain matures throughout childhood and into adulthood in order to recognize and process the outside world. Development of cognitive and social processes are critical for mental health as many neuropsychiatric disorders are first recognized in childhood and adolescence. 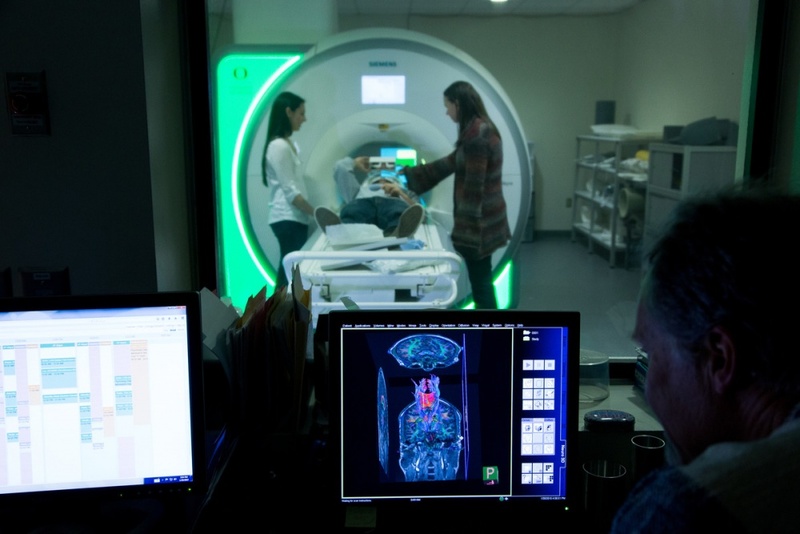 Geared toward professional and student scientists, physicians and educators in the field, the program caters to researchers using magnetic resonance imaging, near-infrared spectroscopy and other neuroimaging techniques. With a strong focus on translational research and promoting public information, Flux Congress explores more than just psychological brain development. Researchers also will be discussing implications on education, health, juvenile law, parenting mental health and other fields. David Conover, the UO’s vice president for research and innovation, will deliver opening remarks at the conference, along with Dan Dorsa, OHSU’s senior vice president for research. Conover said he enthusiastically supported the idea of the UO co-hosting the symposium, and his office helped fund the costs of the meeting. UO neuroscientist Cris Niell will give a presentation on his research examining the development and plasticity of neural circuits in mice. 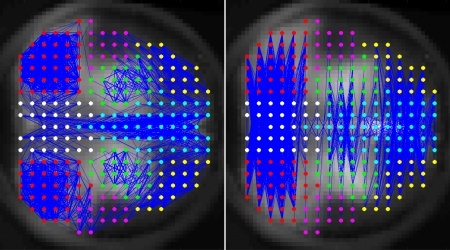 Niell is using imaging techniques to study the maturation of cortical connectivity during adolescence. The collaborative research project, studying brain development during adolescence in both mice and humans, involved UO researchers Allen, Sabb and child development and preventive intervention specialist Leslie Leve, as well as OHSU neuroscientist Damien Fair. Following the October 2016 launch of the Phil and Penny Knight Campus for Accelerating Scientific Impact, researchers from the UO and OHSU have been seeking opportunities to work together. UO President Michael Schill and OHSU President Dr. Joe Robertson have described the Knight Campus as a powerful platform for partnerships between scientists and researchers at the UO and OHSU. In April, researchers from the two institutions met for a day-long summit in Monmouth to brainstorm possible collaborations.